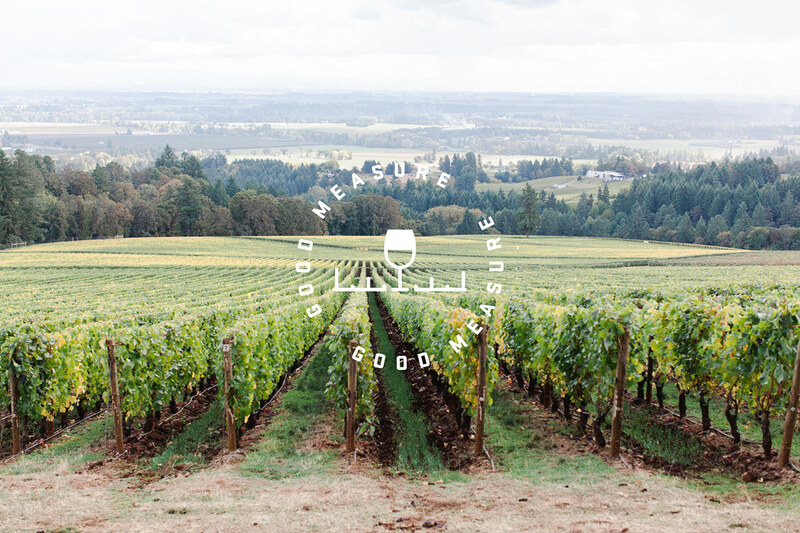 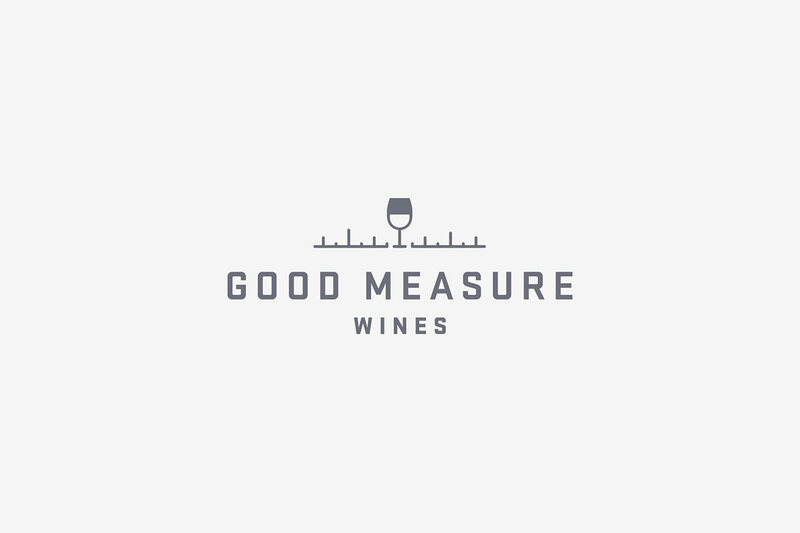 Good Measure is a new line of wines from Crafted Brands, and a sister brand to Square, Plumb & Level, as the family of brands begins to expand overall. 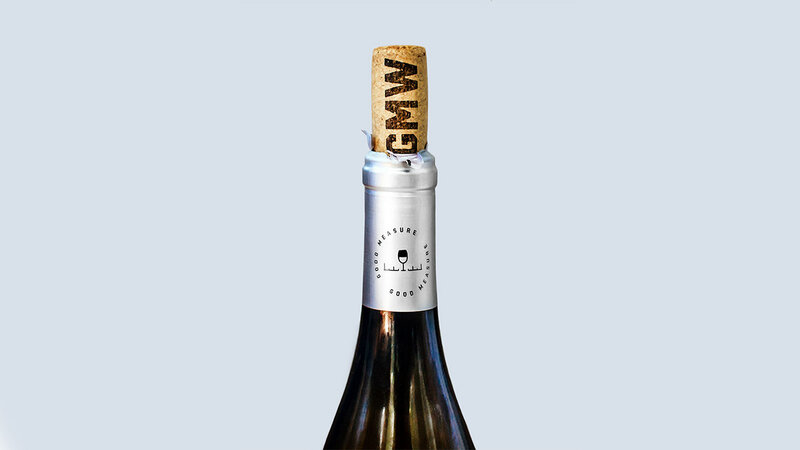 This new brand is a more casual line, offered at a slightly lower price point than SPL, yet still high quality and for discernible palates. 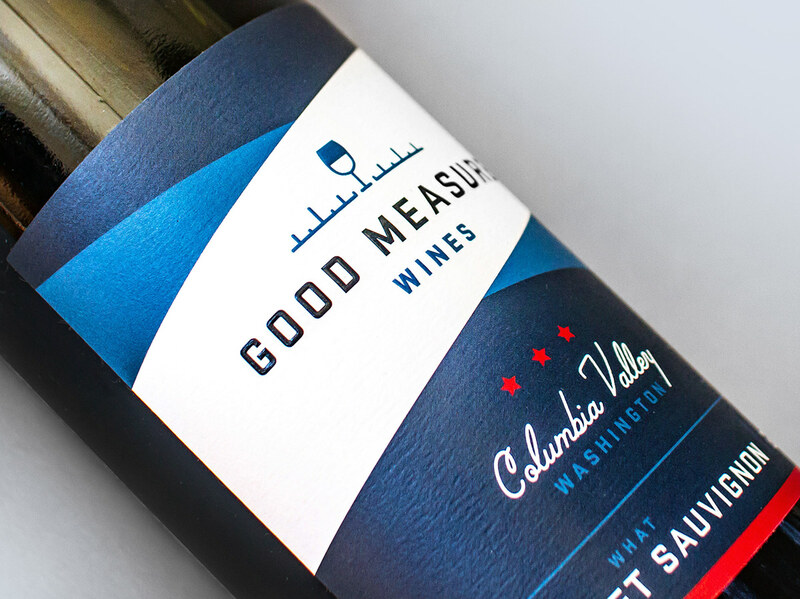 Good Measure tasked me with building out the new brand identity, packaging and labeling. 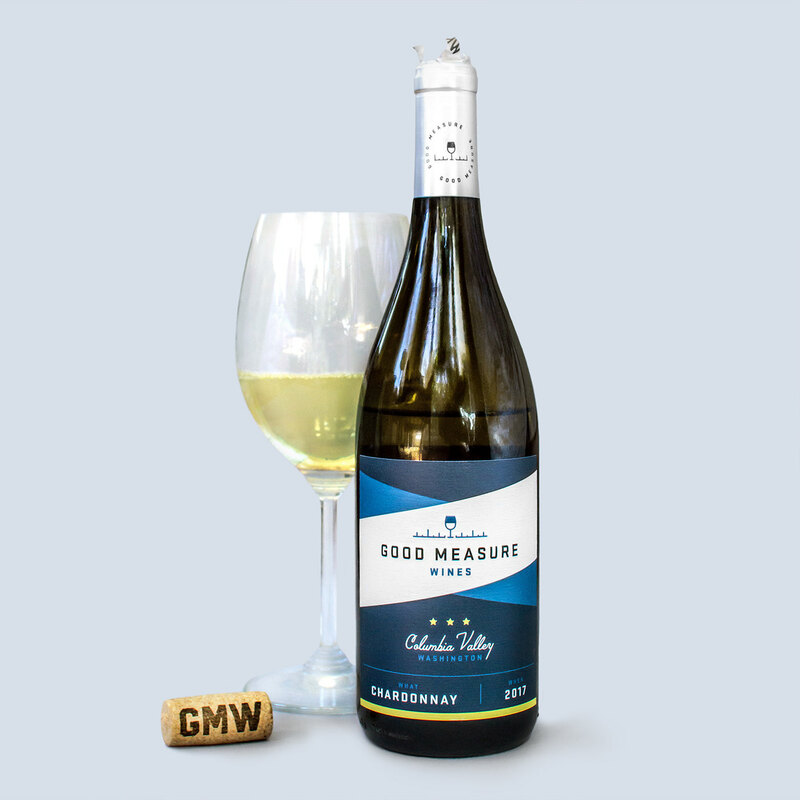 The logo features a wine glass with the stem as the center tick mark along a ruler – creating a strong, visual emblem for a wine of good measure. 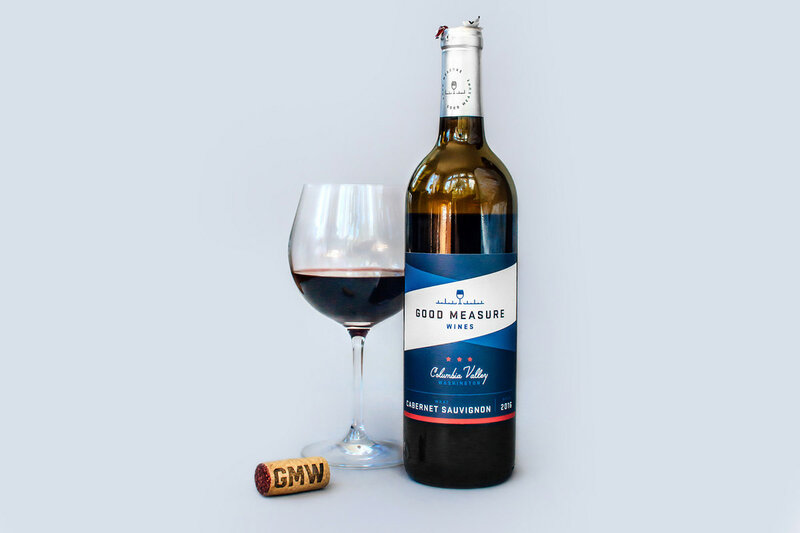 Good Measure means going an extra step in addition to what has already been done. 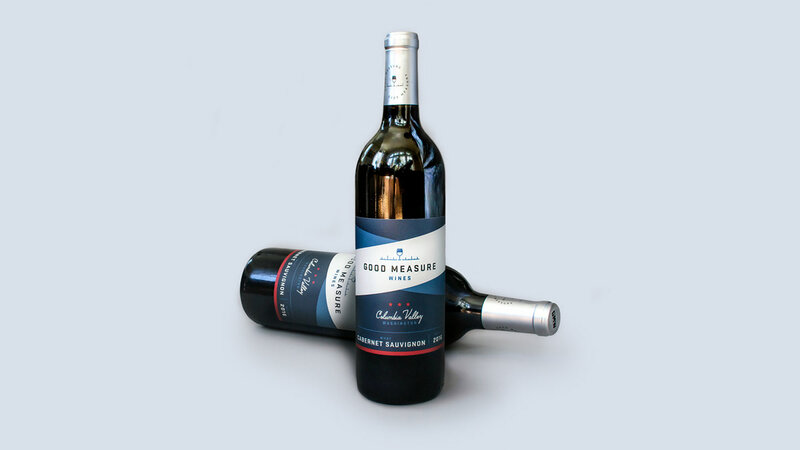 In carpentry, this is measuring twice, cutting once. 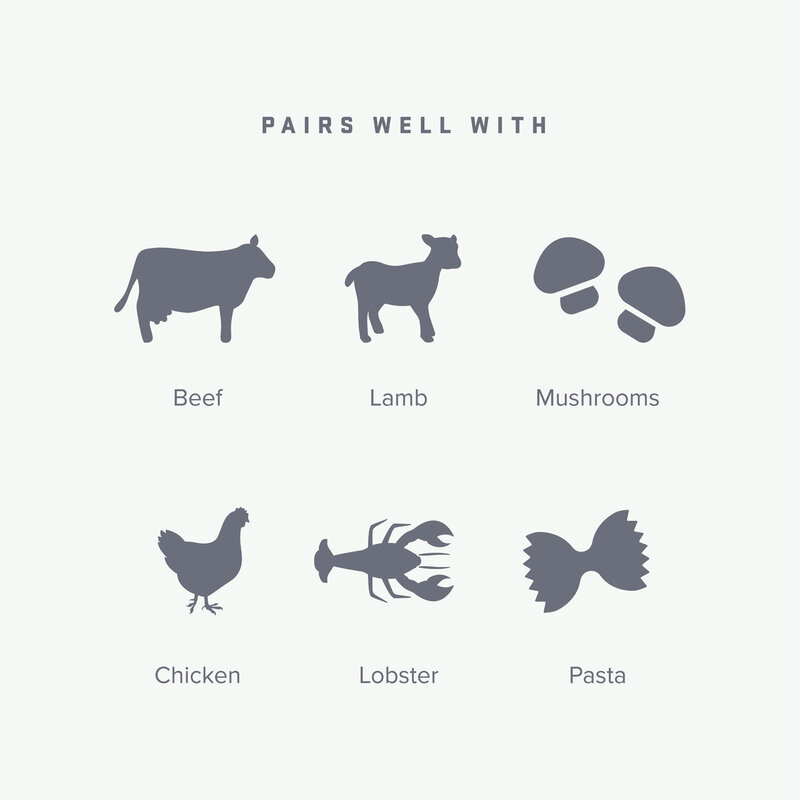 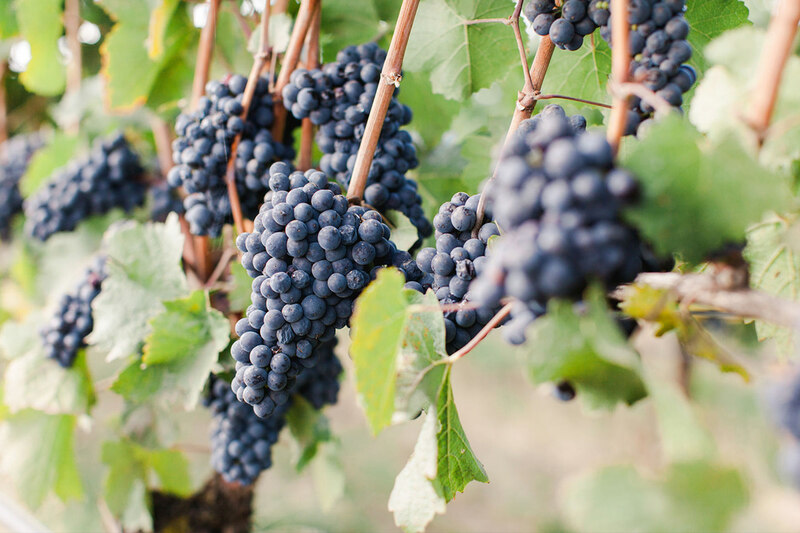 In wine, this is selecting the right vineyards as well as final touches in the winery. 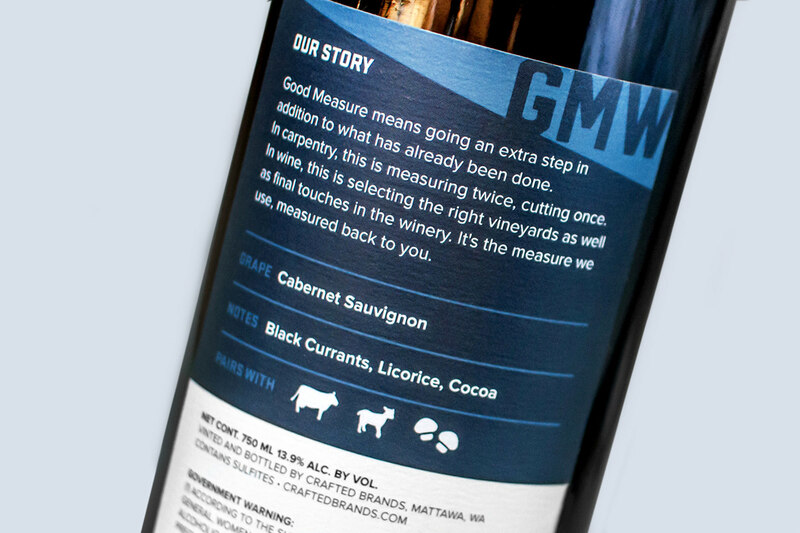 It's the measure we use, measured back to you. 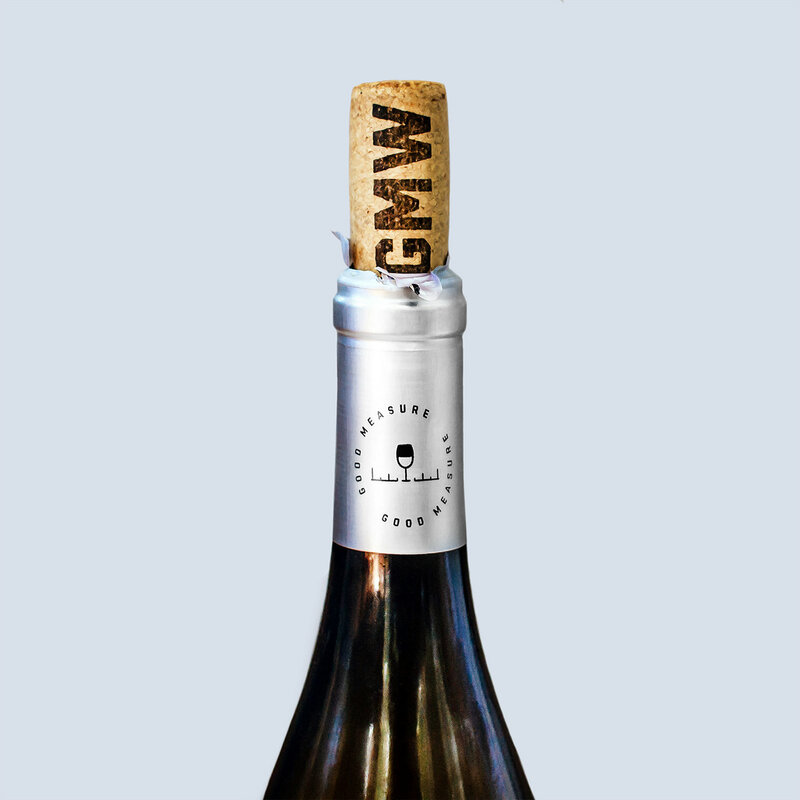 The label has a subtle, soft linen textured paper with a raised, embossed logo finished with a UV spot gloss on the letters and icon in the center. 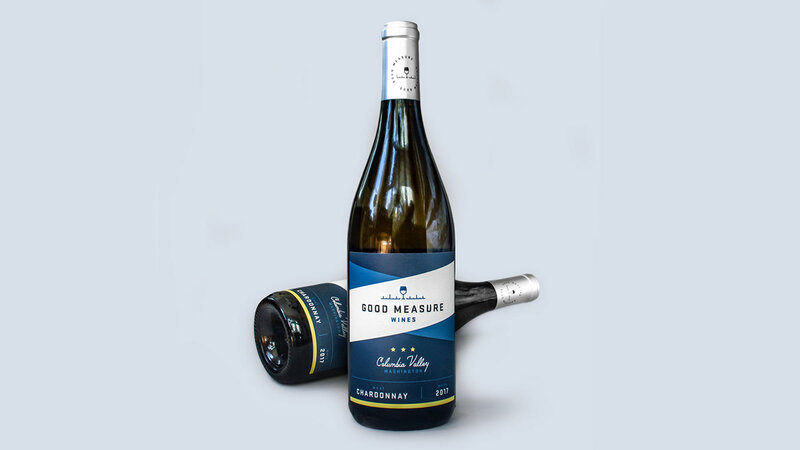 Good Measure tasked me with building out the new brand identity, packaging and labeling for their new line of quality wines, a sister brand to Square, Plumb & Level. 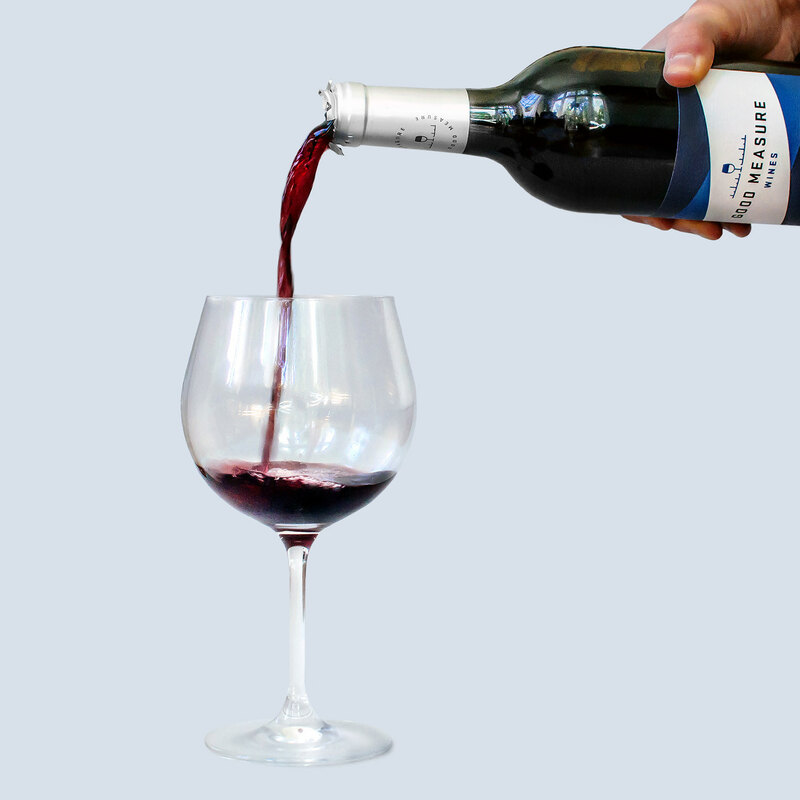 The logo features a wine glass with the stem as the center tick mark along a ruler – creating a strong, visual emblem for a wine of good measure. 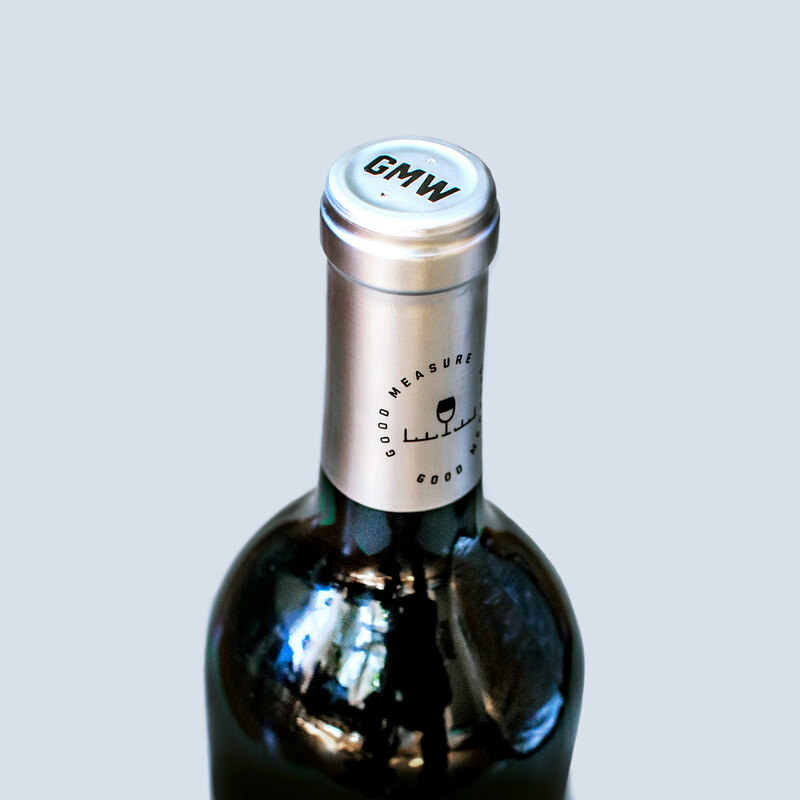 The label is a nice linen paper with embossed logo and raised lettering and icon, with a spot UV finish. 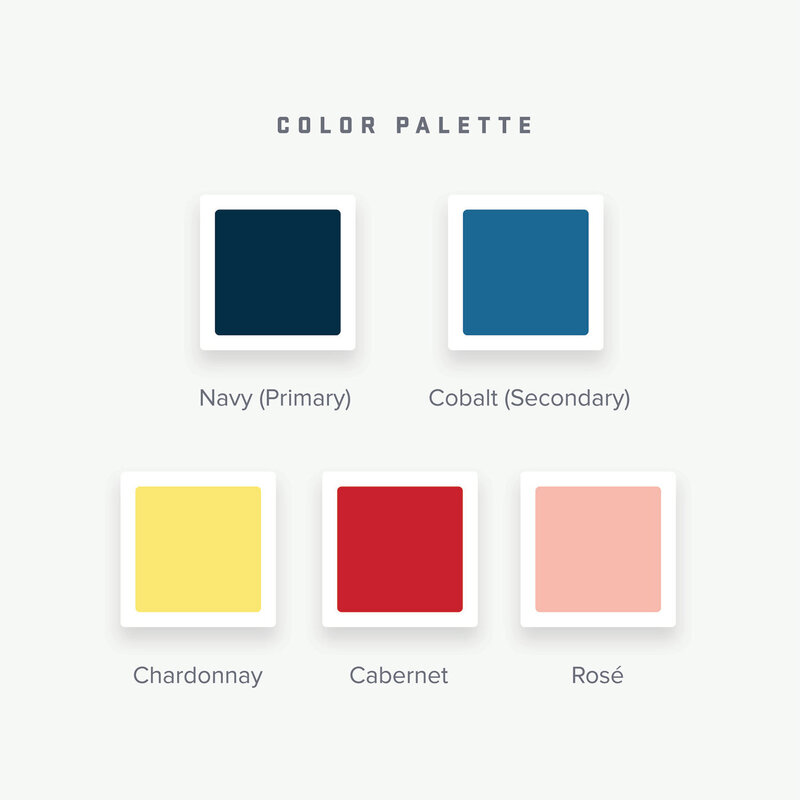 The brand color palette has rich navy and blues, and a stripe of color for each type of wine: chardonnay, cabernet sauvignon, and rose.